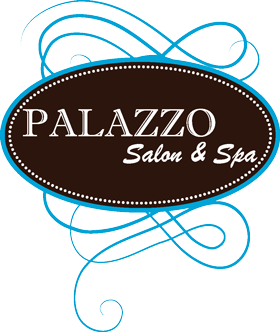 As a member of Green Circle Salons, Palazzo Salon & Spa is beginning a comprehensive recycling / reuse program that will help us to significantly reduce our environmental impact on the planet. The program helps us to redirect out of water streams and landfills everything once considered as garbage: hair (in 2010 Green Circle sent more than 1,000 pounds of hair to the Gulf of Mexico to help clean the BP oil spill), foils, colour tubes, paper, plastics, excess hair color waste (most salons today simply rinse all leftover liquid chemicals into the sink and down the drain) and spa wastes. Did you know that currently all aluminum foils and color tubes are not being recycled and are sent landfill? Recycling aluminum uses roughly 5% of the energy required to create virgin aluminum from bauxite. Ninety- five percent of all aluminum can be recycled over and over again, including the foils and color tubes that are used in salons across Canada. 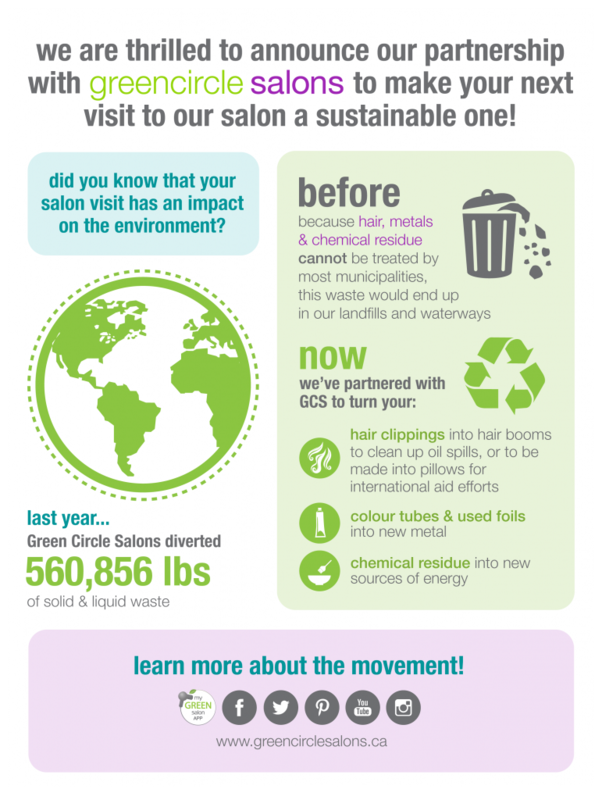 From now, GCS Member Salons will take an environmentally responsible stand and ensure that all metals are properly recycled. This will help to reduce the need for more landfill space, reduce our dependence on non-renewable resources, and decrease the amount of toxins going into our landfill sites. At Palazzo Salon & Spa, we care about being responsible stewards of our planet and being as eco-friendly as possible. We believe it is our responsibility and duty. For many years, we have contributed to this by replacing all of our guests’ consultation forms to paperless in 2012 and instead using tablets. We replaced all of our lighting to LED lighting, composted our hair clippings, recycled majority of our waste and replaced all our cleaning products to green, eco-friendly and bio-degradable ones. Becoming a partner of Green Circle Salon was the obvious next step and the responsible thing to do.